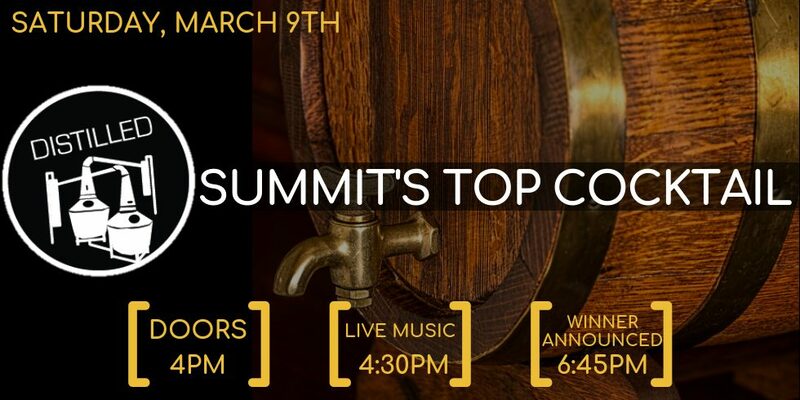 “Distilled: Summit’s Top Cocktail”– Join us for the second annual Distilled Cocktail Competition on Saturday, March 9th! Local establishments will compete in a cocktail competition for bragging rights, a grand prize, and to find out who makes the best cocktail in Summit County. Free samples of all the cocktails will be included with admission, as well as a token to vote for your favorite drink. Your reward for voting? One full cocktail of your drink of choice. A winner will be crowned in two categories: People’s Choice and Experts Choice. Light appetizers will be available as well as live music. Spend your happy hour sampling delicious cocktails and have a say in what establishment walks away with the title of Summit’s Top Cocktail!